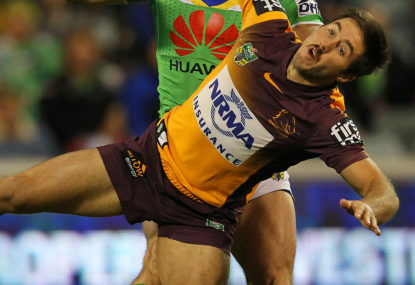 TELL US: Is Ben Hunt the right man for the Origin decider? He’s no Johnathan Thurston, but does he have a series winning performance in him? When the Maroons legend was forced to abandon his Origin swansong, all eyes turned to the Queensland selectors to see who they’d pick to fill his boots. Somewhat controversially, Ben Hunt was given the nod over Daly Cherry-Evans as a halves replacement – a move that raised a few eyebrows given the Brisbane halfback was running out for Ipswich less than a month ago. Did the Queensland selectors get it right selecting Ben Hunt for the State of Origin decider? Where would you play him? We’ll be tackling this, as well as other big Origin questions with Roar expert Mary K on Roar LIVE. Get your answers in the comments and we’ll try to get to as many as possible throughout the show! Roar Live will be streamed this afternoon at around 5:45pm on The Roar’s Facebook page. It will also be available as a podcast on Soundcloud and iTunes.